Despite economic downturn, marketing budgets continue to grow. 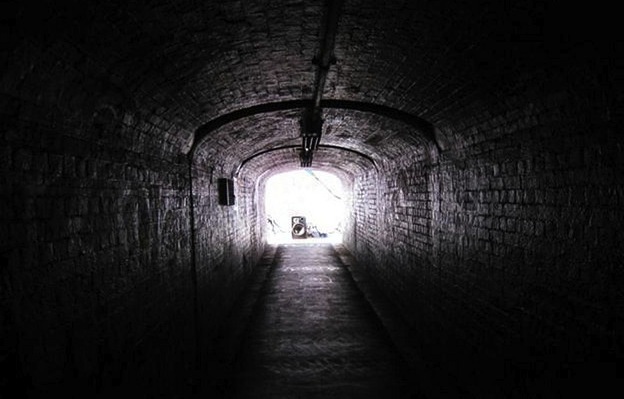 For brands grappling with how to market themselves during the recession, there's light at the end of the tunnel. Despite the current downturn, marketing budgets are up and consumers are spending, albeit cautiously. Conventional wisdom tells us that when the going gets rough, both consumers and marketers get tough on excess spending, and that might be true. But recent studies suggest that despite the current economic downturn that just won’t stop, marketing budgets are up and the industry is hopeful. In a report on business-to-business marketing released earlier this year, Forrester Research found the average marketing budget will increase nearly 7% this year over 2010, with the largest spending increases expected to come from technology service companies, the financial sector and the makers of high-tech gadgets. While that likely doesn’t come as a total surprise, this might: the Forrester study also found that smaller companies are more likely to increase their marketing budgets over large ones, since the need to grow one’s brand doesn’t stop and drop with Wall Street. It seems counter-intuitive, but recessions have proven to be good for marketers and brands alike. Simply put, just because consumers have less to spend doesn’t mean they’re not spending. However, they are shopping with a discerning pocketbook, which is why marketers best keep on their toes and be ready to make adjustments on the fly. Maybe I’m just blogging out loud, but it seems like — metaphorically speaking — marketing during a recession is equal parts determination and perspiration. Preparation and inspiration is key to seeing brands through the slump. History is ripe with lessons of brands that have turned a bad economy into a golden business opportunity. As conventional wisdom is also happy to remind us, consumers are more likely to question their spending habits during bad times. Moreover, it’s during a recession that consumers gravitate toward brands that continue to communicate with them. A golden opportunity exists for brands to turn the dial up on its marketing programs – from coupons and social media marketing, to product demos and exclusive merchandise offers. But by taking the lead on brand marketing during a recession, it is equally important to stay in touch with consumer purchase patterns. The Wall Street Journal reported yesterday on another recession trend: consumer’s “trading down,” or the act of consumers abandoning long-time preferred brands in favor of more affordable ones. Specifically, the article looked at how Proctor & Gamble has adapted to the financial shift: “It’s required us to think differently about our product portfolio and how to please the high-end and low-end markets,” says the company’s North American group president. One technology that’s been helping brands do just that for years is search engine marketing (SEM). With U.S. consumers turning to the Internet for more than 1/5 of their media needs, it’s no wonder that SEM numbers continue to grow while traditional mediums stagnate. As my Vertical Marketing Network colleagues and I like to discuss at length, the Internet may very well be the savvy marketer’s greatest ally during this or any future downturn, which is why Vertical is heavily involved in the planning and development of SEM programs for its clients that take advantage of the vast reach, minimal cost and precise targeting of the web. Tough times call for calculated measures, all right, and it seems marketers have their work cut out for them. How are you adapting your marketing efforts? Please share your thoughts. Marketing’s least glamorous tool has come roaring back to the top of every retailer’s marketing arsenal. Americans set a record in 2010 for a total redemption of 332 billion coupons for a total savings of $3.7 billion. It is visible there is a growing trend towards saving money and as a result, coupons are growing in popularity. NCH Marketing released a report in January of 2011 that retailers and manufacturers once again distributed more coupons for consumer-packaged goods (CPG) in 2010 than in the previous year. The grand total of 332 billion coupons was the largest single-year amount ever recorded in the U.S., eclipsing the 2009 record by 6.8 percent, or 21 billion coupons. The availability of online coupons continued to grow last year, as marketers and users alike became more comfortable with this high-tech distribution method. 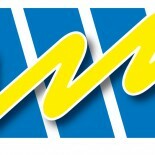 NCH tracked a 37-percent increase in total digital coupon offers, the largest increase across all varieties of coupons. Merchant willingness played a large role in this change, as an ever-increasing number of stores accept printable and paperless coupons, also known as IP (Internet Printable) coupons. According to the report, consumer frugality also rose, with one-third of respondents saying they used more coupons in 2010 than the prior year. In fact, 78.3 percent of consumers said they regularly used coupons, up 14.7% from the start of the recession. The vast majority of coupons — 87.7 percent — were still distributed via newspaper inserts and direct mail. The second-largest share of coupon distribution was through in-store handouts, amounting to 5.2 percent of the 2010 total. This classification includes coupons available in on-shelf distribution systems as well as those you receive with your receipt at checkout (known as Catalina coupons). CPG marketers also estimated coupons were worth more than before. The face value of coupons they distributed increased by an average of $1.46 each. To balance out the books, marketers reduced expiration by generally a week and a half, for an average expiration period of roughly nine weeks. Nearly 75 percent of 2010 coupons required shoppers purchase one item and 26 percent required consumers purchase two or more items to receive the discount. – According to a Profit Impact of Marketing Strategy research study, market share grew three times higher for brands that increased expenditures in a recession than those brands that cut spending and profits were five times stronger. – A recent American Association of Advertising Agencies study found that companies with even modest increases in marketing and advertising spending during the last recession saw gains in market share. Often cited examples of successfully recession-based marketing include how P&G began to dominate categories during the Great Depression as it successfully and aggressively marketed brands including Ivory Soap. Intel launched its highly successful and profitable “Intel Inside” global marketing campaign during the 1990-91 recession. And even Apple’s iPod was introduced and wholly supported at the depth of the tech-bust “dot bomb” period and we know how that product went on to change the way entertainment content is consumed. Innovation in marketing is at an all time high right now. Layering in traditional approaches with social media is producing a ton of success for our clients that are maintaining and expanding their marketing support budgets. When the dust clears from today’s economic downturn, once again it will be the brands that were consistently supported that will once again prove to be winners! This entry was posted on September 13, 2011 by JJ Nelson in Uncategorized and tagged Advertising, Brand loyalty, Consumerism, Coupons, In-store marketing, Marketing, Product samples, Recession marketing, Shopping, Social networking, Vertical Marketing Network.